Another busy month for us with concerts and yet more time recording some fabulous music. 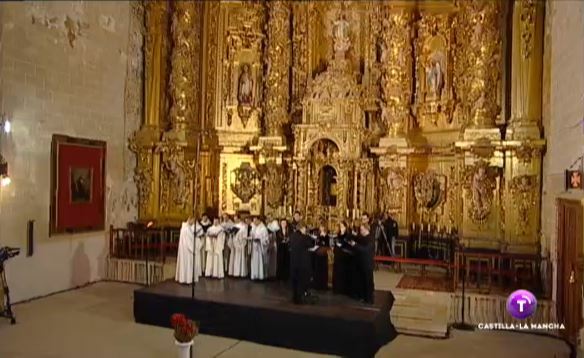 A wonderful trip to Cuenca for a performance of Spanish renaissance music from the likes of Victoria and Guerrero, but also some less well known names such as Fernando de las Infantas, Alonso de Alba and Juan Navarro. The concert was relayed live on National TV which made it slightly scary. We shared the concert with Juan Carlos Asensio and his wonderful Schola Antiqua who performed all the Gregorian chant in the programme. We then had a few recording sessions for Decca Classics singing music by Ola Gjeilo, who is also a very talented pianist I found out! I’ve long admired Ola’s music and thought it would suit Tenebrae extremely well so I was delighted when we were invited to record several of his choral works. I particularly liked the track with the guitar – you’ll just have to buy the disc to find out which one I mean…! Then three very full, but terrifically fun filled days recording music by a very old friend of mine Alexander L’Estrange. I’ve always known he’s a prodigiously talented arranger – go listen to The King’s Singers‘ recording of American Song Book titles all arranged by Alex – but thought he should be encouraged to write his own music and so I commissioned two pieces from him when Tenebrae first got off the ground. After ten busy years Alex now presented us with a fabulous array of his own works that show just how far he has come in a short space of time. 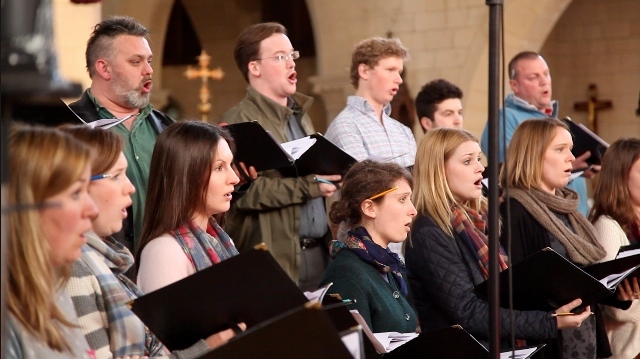 Hugely varied in style and textures, but all very rewarding to sing – always a good sign if the singers enjoy singing new works! – and all laced with Alex’s genius for harmonic lushness (is that a real word?). Can’t wait to hear both of these albums! 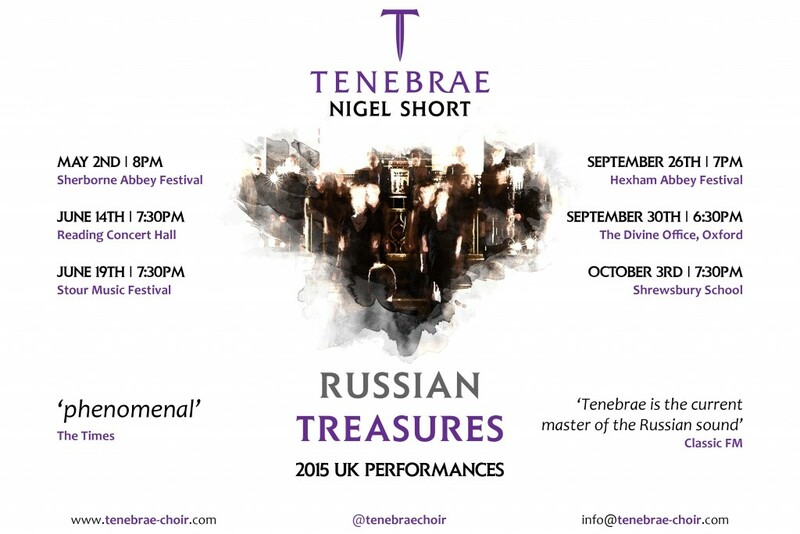 Very much looking forward to going back to the stunning Abbey in Sherborne for what is the first in a series of concerts across the UK of our Russian Treasures programme. The choir sing this utterly gorgeous music beautifully and it’s always a treat to hear Adrian Peacock sing all the low set chants normally sung by Deacons in the Russian Orthodox church and to lead his bass colleagues in all of the super sub-stave bass notes that are such an integral prat of this repertoire. As on the disc ‘Russian Treasures‘ there are some well known works in the programme such as from Rachmanninov’s Vespers, but also far less well known gems by names you probably won’t have heard of like Golovanov, Kedrov and Kalinnikov. Do please try to catch us in Sherborne, Reading, Stour, Hexham, Oxford or Shrewsbury.